Dr Faisal has recently moved to Australia from England after working 14 years in the National health services in the UK . He has got extensive hospital medical experience & he has worked as a Medical registrar in Acute Medicine and has worked in almost all specialities of internal medicine in prestigious hospitals in England which includes, Cardiology , Endocrinology , Gastroenterology , Oncology , Rheumatology , Geriatrics and has also worked in Nephrology at Royal London Hospital . Dr Faisal has completed all membership exams and obtained his Membership of Royal college of Physician London in 2012. Dr Faisal has started his General practice career in 2011 and has also worked in Mental health , Emergency Medicine , Obstetrics and Gynaecology and obtained his Membership of Royal college of General practitioner London in 2014 . He has successfully completed his Postgraduate Diploma in Diabetes in 2016 and Postgraduate Diploma in Cardiology in 2017 from Middlesex University London. He is also a Fellow of Royal College of Australian General practitioner. 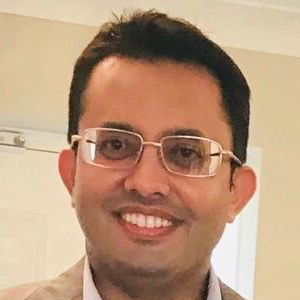 Dr Faisal has done number of Diabetic presentation (oral hypoglycaemic, SGLT2 inhibitor, GLP1 therapies and basal inertia with insulin initiation ) to enhance knowledge of General practitioners and Diabetic specialist nurses in different towns of England . He has got expertise in insulin and GLP 1 initiation . He was also invited by 2 leading pharmaceutical companies in advisory board meeting in London to give his expert view about available GLP1 in England . Dr Faisal has chaired number of meetings and also done number of audits to improve the standard of care in different practices . He has written his own presentation about interpretation of ECG and done teaching in different towns which was highly appreciated by colleagues and peers . He has done teaching to University of Buckingham Medical students and has successfully completed GP clinical & educational supervisor trainer course in England .He is very experienced medical doctor who not only help & train medical Students but also GP’s and Diabetic specialist nurses. He was the lead clinical GP of his practice and due to his extensive experience in Medicine and his special interest in elderly care he was looking after patients in nursing and residential care homes . He is doing joint injections over the last few years and also done training to do PRP injections. He got special interest in chronic disease , Geriatrics , Diabetes and Cardiology . Dr Faisal is confident in providing high standard of care and he has got expertise in providing individualised care planning . His ongoing dedication to continuing education ensures he is providing high quality, holistic ,patient- centred health care. He strongly believes in practicing evidence based- medicine & keeping up-to date with the latest clinical developments to provide the best possible care to all his patients tailored to their needs.